Connecting you to your clients! A strong corporate identity is essential to your firm’s success. Let us help you maximise yours with our no-obligation DotNewsConnect Brand Consultation service. 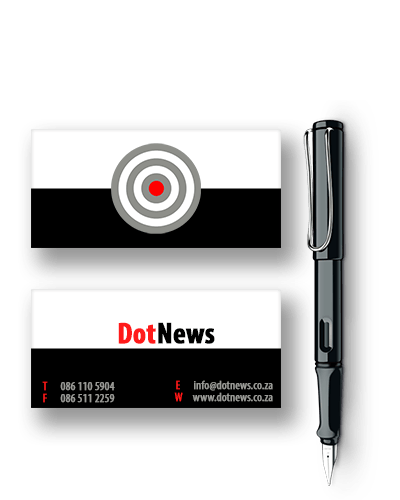 DotNews - Direct to Your Target Market! Our track record since 2005 speaks for itself - have a look at what our clients have to say about us below. DotNews is a marketing firm focusing predominantly on professionals in the legal and accountancy industries. Having started as a specialist supplier of client newsletters to firms in 2005 with our LawDotNews publication, we now offer a full range of integrated marketing services. We aim to make all of our services available to any size firm by providing cost-effective and innovative solutions. In 2011 we partnered with SAICA to create our CA(SA)DotNews client newsletter for Chartered Accountants, thus expanding our service offerings into the accountancy field as well. Our wide range of marketing solutions allows even the smallest of firms to access marketing resources typically only with reach of large corporates. Let us become your outsourced marketing department! Client newsletters are a tried and trusted way to keep you top-of-mind with all your clients and prospective clients. That’s why professional firms have used them as a core marketing tool for decades - because they work. Having specialised in this field for the past decade, we have seen first-hand how this low cost, low effort, highly effective marketing tool puts you at a huge competitive advantage. Our 10 year track record as experts in this field speaks for itself. Start communicating with your clients today! 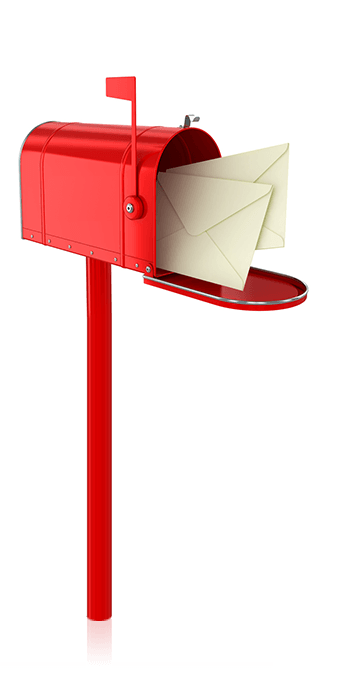 Our newsletter options are not only highly effective, but also priced such that, big or small, we will structure a package perfectly suited to your firm's needs and resources. Whether it’s just our quality articles you are after, or a full-package newsletter service, we can help. "Minimal Effort, Minimal Cost, Maximum Effect!" Our articles are short, simple, topical and practical – constantly giving your clients value, and constantly growing your firm’s goodwill. For those times when you want to get a separate, bespoke message out to your client base in between your regular monthly newsletters. Use Newsflashes to update your clients on anything that’s urgent or that you want to draw particular attention to. In today's world everyone is using the Internet to learn more about businesses. Be sure that you stay competitive by having a strong online presence that will show potential clients what differentiates you from the rest. A good website is the cornerstone of any web marketing strategy, being your online office and a hub where you can showcase all of your business activity. As with all DotNews services, we cater for all size firms, from large corporates wanting a fully customised bespoke website, through to sole practitioners looking for only a basic presence at a reasonable cost. Big or small, let us help you! Tailored to your firm's specific marketing needs, your website should be one of your most powerful tools for acquiring new business and maintaining your corporate image. Keep your website engaging and increase traffic by including a blog. We can help with the setup and with integrating your newsletter articles and other sources of content. Strong, effective branding is absolutely essential for your practice to succeed as a profitable business. It not only differentiates you from your competition by underpinning your entire corporate identity, but it also communicates to your target market exactly who you are. Strong branding should never be underestimated - the image your firm presents affects your clients (and potential clients) on a deep sub conscious level. Through our trusted suppliers we can provide you with designs for everything from your letterheads to all your other stationery needs. A strong corporate identity is essential to your firm’s success. Let us help you maximise yours with our no-obligation DotNewsConnect Brand Consultation service. Social Media has taken the Web by storm. It's strange to think, but Facebook has only been around since 2007. Although that's relatively recent, every business, big or small, should have at least a basic Social Media presence. Facebook was established 2 years after DotNews! 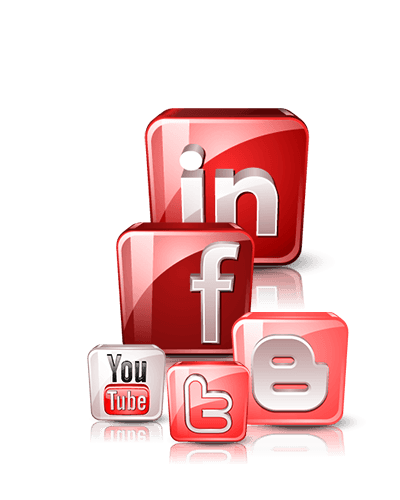 Choosing the right Social Media for your firm is crucial. Whether it's LinkedIn, Facebook, Twitter or Google+, your firm needs to know how to engage with your audience on the correct platforms. Social Media is the perfect integrator and can be a great way to get the word out and boost your campaigns. A good Social Media presence is also great for your Search Engine Optimisation (SEO). We offer Social Media consultancy, set-up and integration plans to kick-start and boost your presence on the platforms you need to be on. How many emails do you send at work every day? Well, if you “do the math”, you’ll realise that you are personally sending out around 1,000 emails every month and, in fact, by the end of the year you will have sent at least 10,000 emails. That’s a pretty big digital footprint. Think about your firm as a whole, and how many emails cumulatively are being sent to clients, potential clients and business partners. 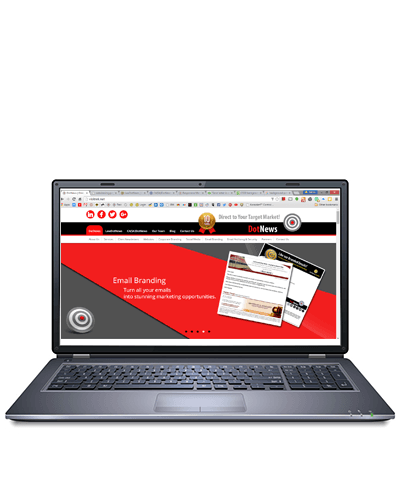 Email Branding allows you to harness the full power of your everyday business communications. It allows you to keep all you branding and signatures consistent across many different users and provides powerful analytics so you can see which marketing messages are working. To learn more about branded emails view our blog post or view a sample branded email. Email-borne security threats remain a major concern. Robust, up-to-date email security is more important than ever. The fact of the matter is that no organisation of any size can afford to go bare on e-mail security nowadays. 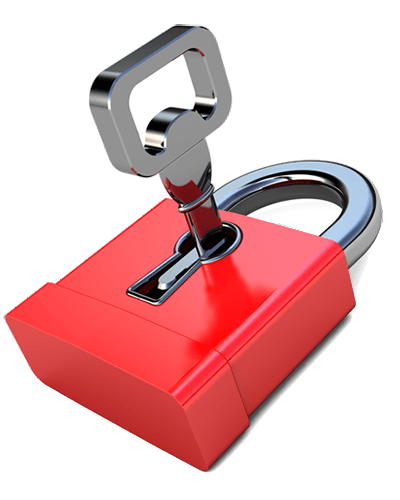 We offer a premium e-mail security and content management service, which effectively protects you against Internet threats coming in via e-mail, whilst ensuring low cost of ownership. DotNews has also become a proud provider of a cloud-based email archiving solution dealing with over 250 million emails each month. This product will be in compliance with the upcoming POPI legislation as well as meeting other governance criteria such as the Electronic Communications and Transactions (ECT) Act. Our solution is an email archiving and retrieval solution, designed and structured for any size practice. 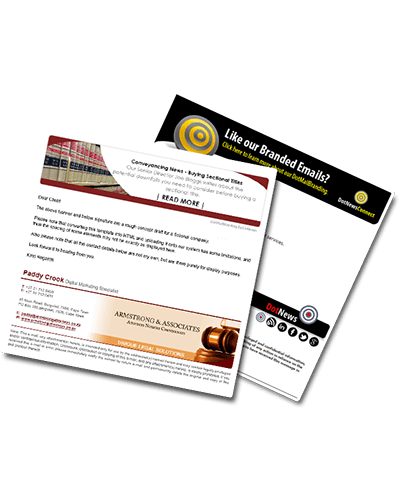 Marketing your firm has never been easier!